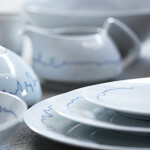 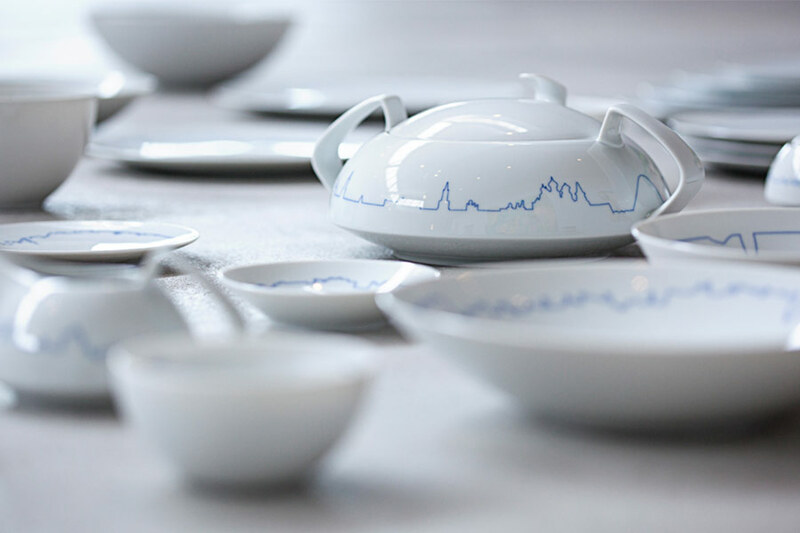 In 1969, Walter Gropius designed a collection of china for Rosenthal. 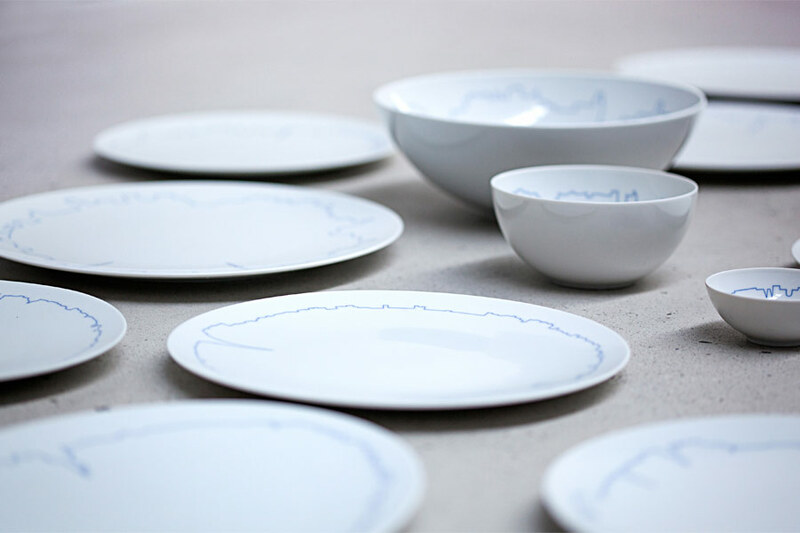 Named after his atelier in Cambridge, The Architects Collaborative, TAC’s elegant and curious forms are pristine in white porcelain. 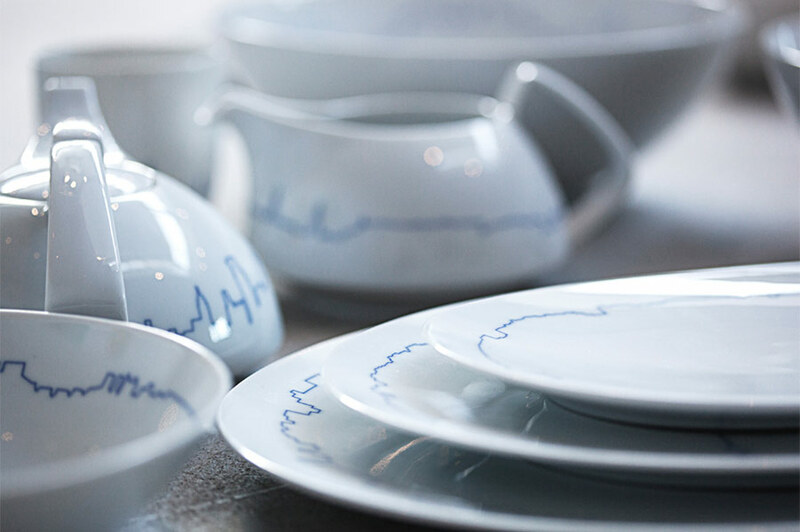 Embellishing Gropius’ design would naturally be heresy to some purists. To others, it would reflect his belief in the collaborative process. 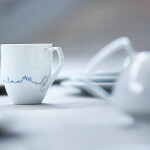 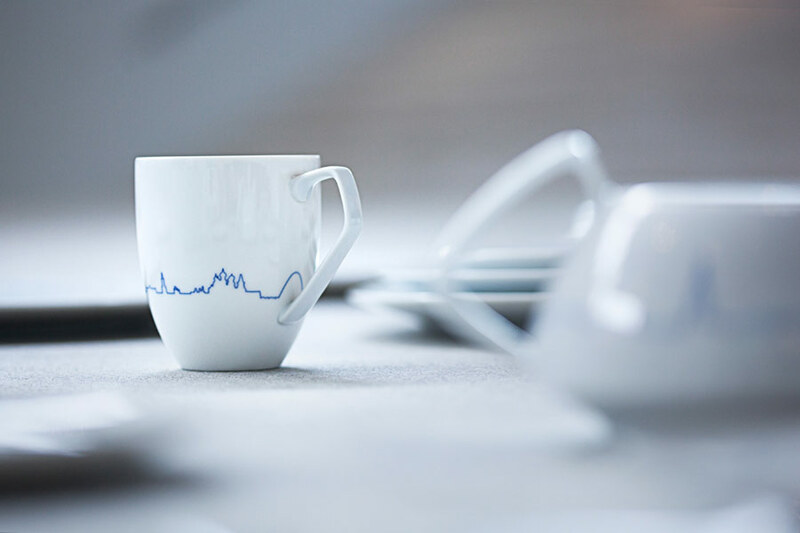 In their update of the tableware, called TAC Big Cities, architect Bjarke Ingels of BIG and Danish industrial design studio Kilo teamed up to create an urban motif for the collection. The skylines of Paris, New York, Berlin, London, and Copenhagen have been delineated in dark blue with a sure hand (My guess it was wielding a 7B pencil). 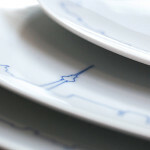 Not meandering doodles, not too-crisp or CAD-like. 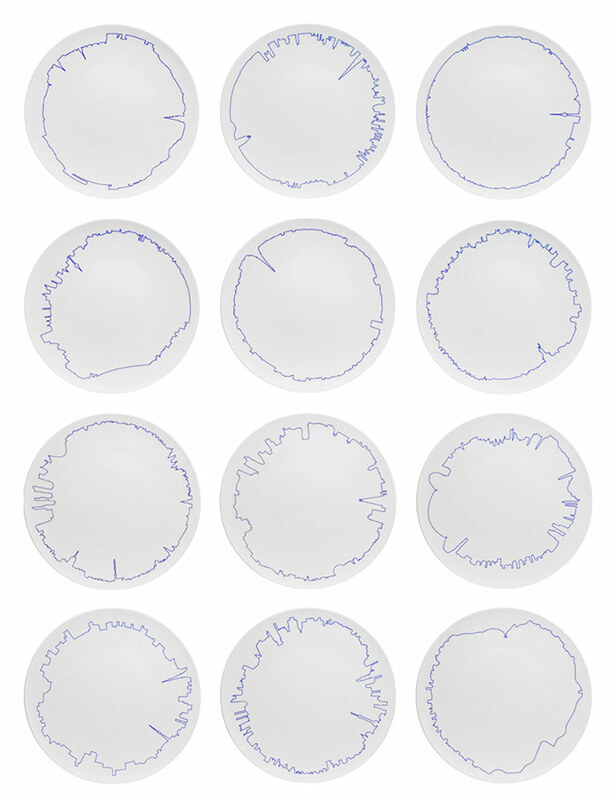 This is a friendly, confident line. 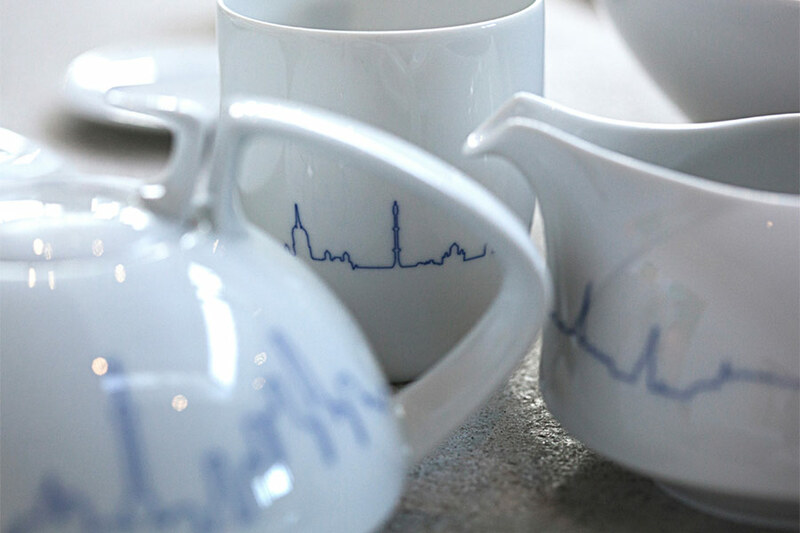 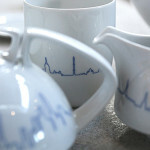 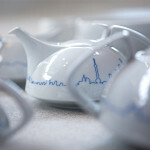 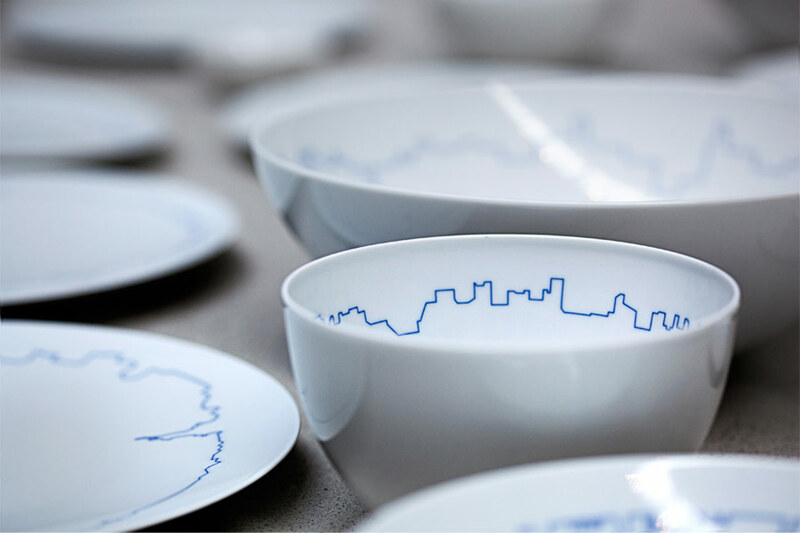 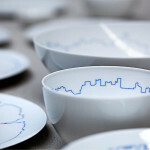 When wrapping around serving vessels, pitchers, and bowls, the cities’ silhouettes are easily recognizable, punctuated with unmistakable architectural icons as the Eiffel Tower, the Empire State Building, and the Brandenburg Gate. 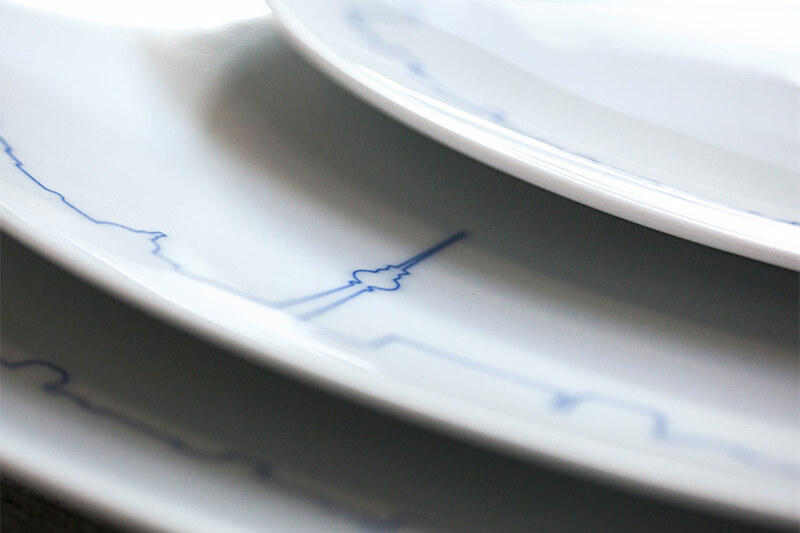 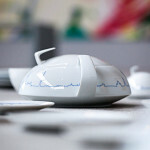 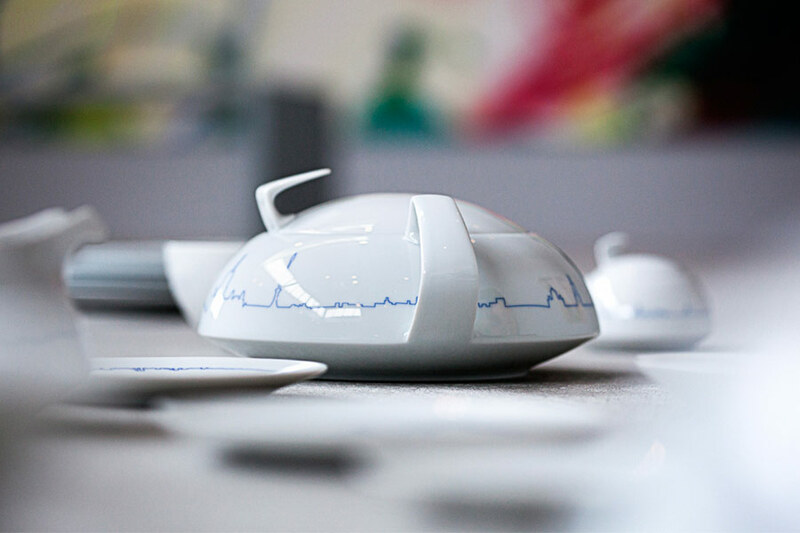 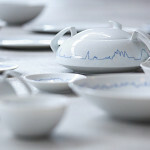 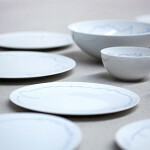 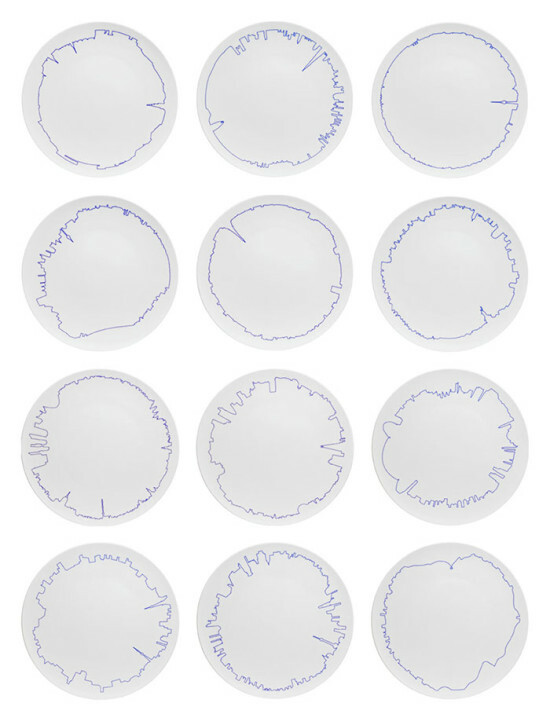 But when projected onto the borders of plates and platters—comparatively flat surfaces—the lines distort, and read more like seismic activity graphs. 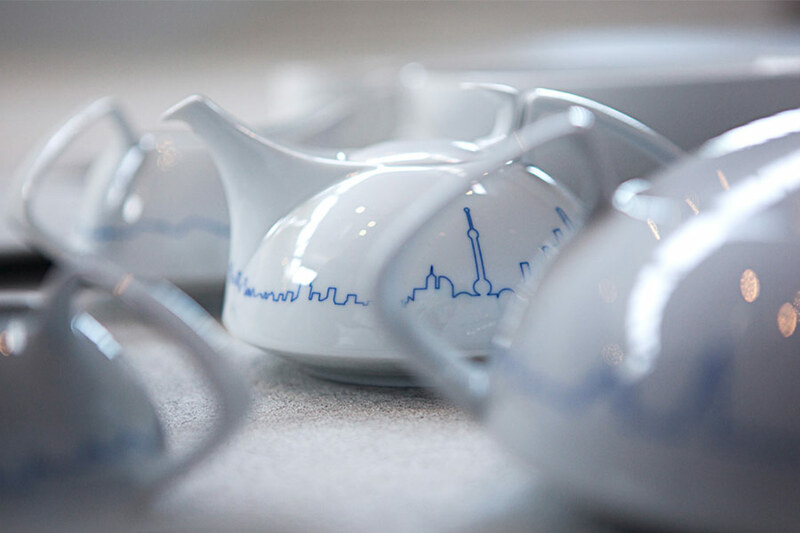 It’s a pleasantly unruly ornament. 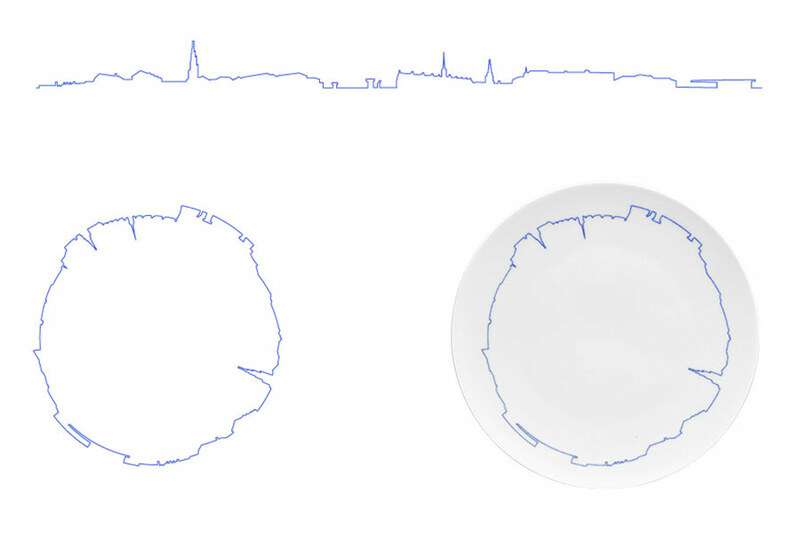 Dining on the town of your choice will cost about $50 for a 11-inch plate.